We have been producing high quality fencing, posts, accessories and wooden gates for several years, and even offer free quotations! From wooden driveway gates, fencing panels and posts of all sizes, we can either supply you with the materials made to order or we can offer a complete installation service for an additional charge. 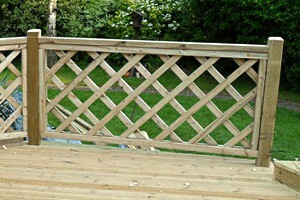 Sunningdale Timber can cater for all of your fencing and timber needs serving Leicester, Leicestershire and further afield. "...Excellent service and very good value for money. 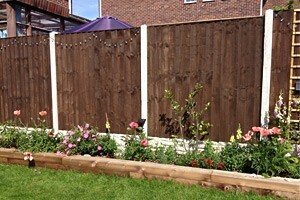 I had 6 fence panels & 7 posts fitted and I am that impressed, he is coming back to do the rest of the garden!" 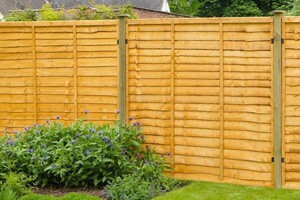 If you are simply looking to purchase raw fencing supplies and materials, we are able to offer a wood cutting service to suit your exact specifications. If this is a service that you require, please call us today on 0116 2312876 to discuss your needs further. Providing timber supplies to both the domestic and trade markets, Sunningdale offer very competitive prices, high quality timber supplies and a friendly and reliable team to help you along your way! From fence panel caps and fittings, clips, gravel boards, posts and fencing stains (Available in a variety of colours), we have everything in stock to cater for all your needs. All our staff are very knowledgeable and helpful, and will be happy to advise you on the best solutions to suit not only your fencing requirements but your budget as well! 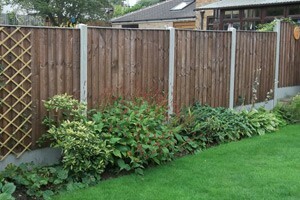 When it comes to fencing there are a variety of choices available to suit your budget and taste. 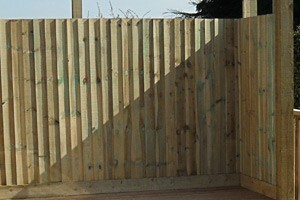 From feather edge panels through to lap panels, gravel boards and picket fences, Sunningdale have it all, we even offer a local delivery service throughout Leicester!